There comes a time when you know your child has finally stepped out of his/her childhood. The most familiar sign of this time is that he/she is no longer interested in toys. They start talking about the future, their interests and so on. It is now time to store your children’s toys as they will no longer be using them. Storing your child’s toys is not that hard if you are a good planner. However, there are still some tips which will help all types of parents in storing their children’s once most prized possessions. When you plan to store toys, you should first clean them. Categorize the toys first and then wash them one by one; toys have different material so washing them together would not be wise. 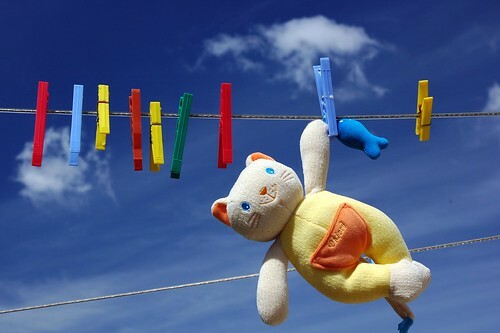 Washing the toys before storing will help them last longer, less or no bacteria will cause less or no erosion/rust and the toys will remain in the same condition as they are stored in. Another thing one should definitely do while packing is use small plastic to cover these toys; if the box is stored in a dusty environment it will be no use washing. The most common way of storing toys is using boxes. For this purpose, cardboard boxes are used. These boxes are used to gather all the toys in one place and keep them in a compact environment. Boxes help save a lot of space, all the toys spread around a child’s room could be stored in a few boxes. Imagine a library, where huge racks are required to keep books which take a lot of space. If you take all the books and store them in boxes, it will take less than half the space which it took to display them. The room and toys situation is similar. Cardboard boxes are an economical way of saving storage space. Toys should be stored in a proper manner. They should be categorized either by their importance or by the years they were bought in. There are several toys which are held in high regard by a child, some due to its memories and some due to its significance. For example, toys which were received on birthdays could be kept in one box, toys which were received on securing good grades in one box, toys bought while on vacation in one box and so on. After labeling the boxes, store them in a place which is not commonly accessed such as closets or store rooms. It would be better for the life of the stored items if the storage space is free of dust. You should really be careful when choosing a storage space for toys; these things might be worth recalling in the future. This method might be costly but it covers all four aspects mentioned above. These showcases are either made of glass or plastic. They have several sections (as many as you require) to categorize toys. There are small spaces between the section dividers where you can put labels. The plastic or the glass case helps storing in a dust free environment. It will be better if the display has a lock. Mike is a father of 2 and works in a toy store, so he have been dealing with toys invasion for some time.